We offer Fresh Garlic & Garlic Planting Material that provides high yield to the customers. The Fresh Garlic contains alliin, which is a therapeutic ingredient providing immense health benefits. 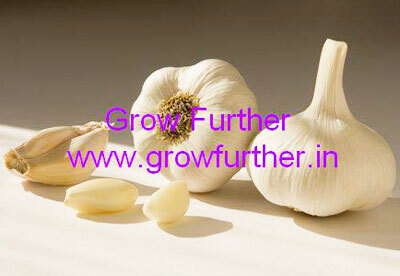 Our Fresh Garlic is widely demanded in the market and used for cooking in Hotels, Households, Resorts etc. Farmers/Growers must use high yielding varieties of Garlic while starting cultivation so that they get the finest rates & regular buyers. We supply high yielding varieties like – Amleta/Amretha Ooty, G-2, G-282 & some more varieties as per the availability. Marketing We follow various terms and conditions and make our farmers to cultivate high quality Garlic. We also purchase superior quality Garlic from our farmers for the Buyers regularly demanding material from us. We primarily market the material of our farmers & on demand we supply fine quality demanded by any buyer in bulk quantity & small quantity too. The grower gets our complete support in Marketing. Yield The yield of Garlic depends on soil as well as cultivation techniques. Generally 30-50 quintals of garlic is seen growing in an acre of land. Manures and other Growth Agents We have available with us high grade Growth Agents for Garlic which is a result of our innovations and hard work which increase the yield & the farmer’s profit rises upto 20%. Usage Used for cooking in Hotels, Households, Resorts etc.